Guliyev said that President Aliyev once again disclosed statistical figures to the Azerbaijani public and international observers and shared analytical judgments that fully reflect the country's development over the past 9 months. 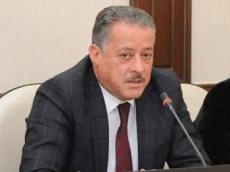 He stressed that the principled position expressed again by the president on the Armenia-Azerbaijan Nagorno-Karabakh conflict will affect the activity of the mediators at a later stage, and will impede the tactics of predatory Armenia deviating from the main line of the negotiations. The expert also said that the president’s open criticism regarding shortcomings in the social and economic life of the country and in relation to the bureaucracy is worthy stressing.